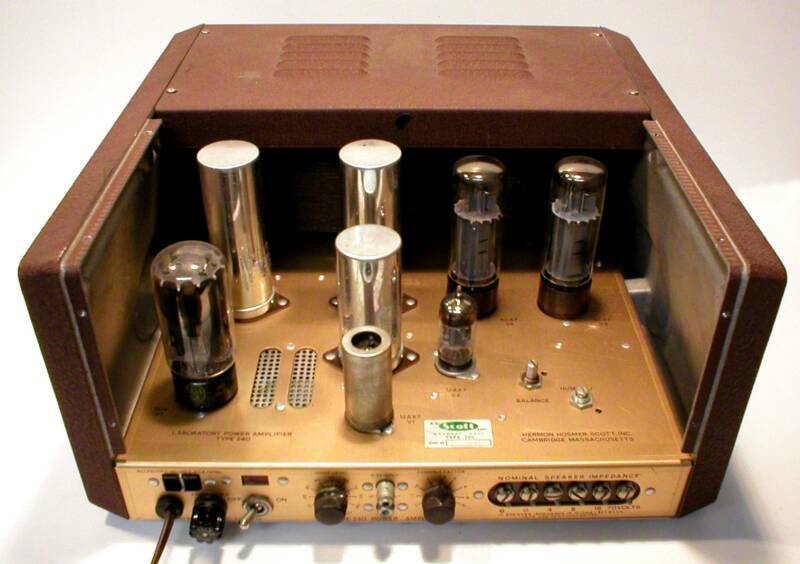 This is exactly the way you want to find vintage Hi-Fi. Absolutely pristine original condition recently acquired from the original owner! Yes, that's right. I obtained this piece, along with a few others offered on this site, from a local doctor that was moving into a much smaller home and had no room for his good old Scott equipment. 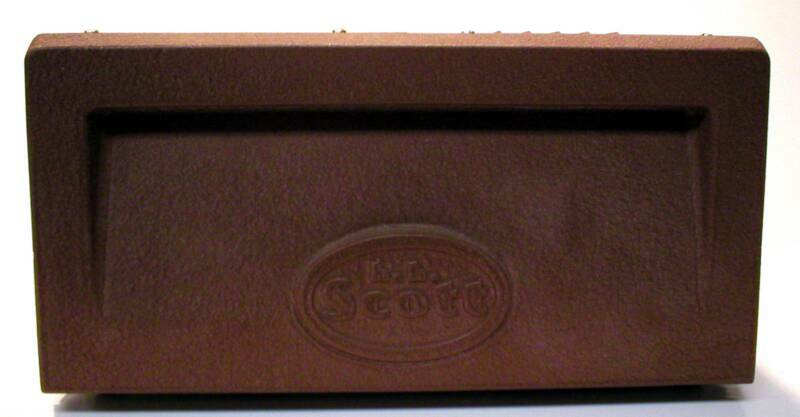 This is the first piece of equipment and only one of two types that has the legendary chocolate brown cast side end caps with the oval "h h scott' logo. 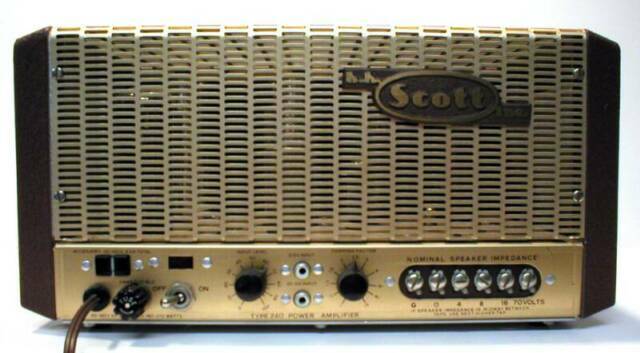 Wonderful mesh grille with the "H.H.Scott" badge. 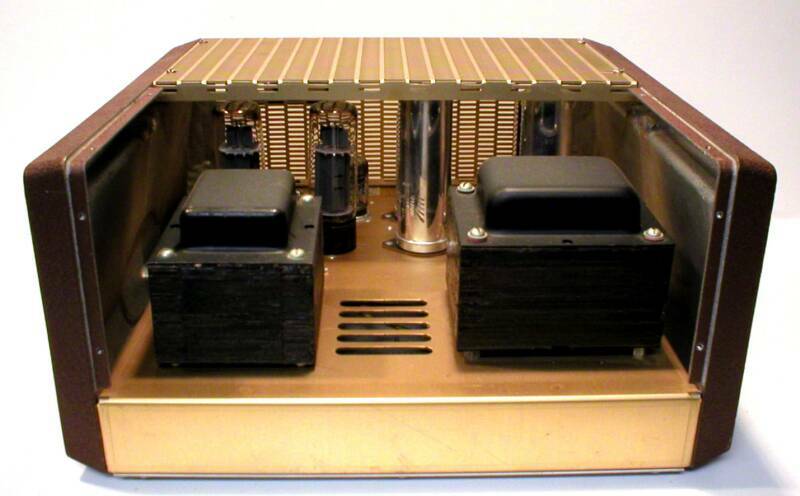 This class"A" monobloc amp is powerful (35 watts RMS) and in good working order. It has been tested and plays fine. If you want to perform service for extended playing, you'll be getting a great unmolested example.